Let’s get straight to the point. This site is all about hypnotherapy and Neuro Linguistic Programming (NLP). 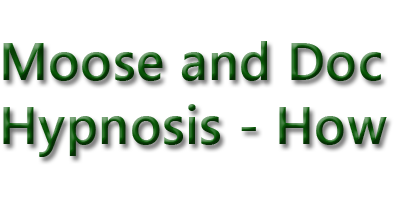 Moreover, the main aim and purpose of this site is to show, with sound scientific evidence, how hypnosis and NLP can help in many problematic areas of life. Because the url of this site is cult.bg I originally thought that it might be interesting to write a site about cults. Furthermore, to look into the fascinating area of mind control techniques and brain washing. Indeed, some highly persuasive destructive cult leaders have managed to lead followers to take their own lives. In contrast to the negative use of mind techniques, subconscious persuasion and the power of suggestion, can also be used for positive purposes. Both hypnotherapy and Neuro Linguistic Programming (NLP) can be used for beneficial self improvement purposes. Some examples of this include helping people to stop smoking, lose weight, reduce anxiety and increase confidence. Nonetheless, I am the proud new owner of this site. As mentioned, we will be looking at all aspects of hypnotherapy and Neuro Linguistic Programming. The main aim of this site is to help people with problem areas of their lives. By changing how we think on a really deep level, we can change all sorts of negative behaviors too. I am a practicing radiologist in Canada, and so I’m obviously interested in all aspects of medicine. My specialist subjects are breast cancer and lung cancer. In addition, I am also very interested in the areas of Body Mass Index (BMI), weight loss and preventive medicine. Preventive medicine involves focusing on optimizing health rather than treating illnesses. Anyway, I realized that my talking Moose software would be the perfect delivery vehicle for self-improvement. Unlike CD’s, DVD’s, audio recordings or face-to-face therapy sessions, Moose can deliver positive statements and encouragements based on the principles of hypnosis and NLP. Indeed, if you have a problem, for example, you want to lose weight, you can get intermittent statements of encouragement throughout the day. Furthermore, these positive statements, that are based on hypnosis and NLP principles, can really help to make positive changes. In addition, you can receive these helpful reminders or encouragement on your laptop or smartphone. 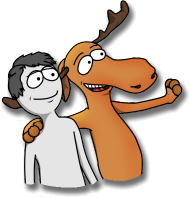 I’m really excited about the Moose app and this site is a good place to record some of the background principles behind Moose. The original cult.bg site closed down in 2009 and I decided to take it over and use it as a platform for my interest in Hypnotherapy and Neuro-Linguistic Programming (NLP). An Explanation of Hypnosis – by a hypnotist. An example of the therapeutic session for confidence and achievement (Part 1) – with analysis. An effective weight loss hypnosis script, with discussion. NLP: The Basics ~ How Do We Think? Neuro-Linguistic Programming – The Basics: Submodalities. NLP ~ Some Fun Techniques. Change how you feel about… with reframing. Investigate the talking moose. разследва на лоса. Clicking on faces is also fun. Кликвайки върху лицата е и забавно.